After an assortment of secret shows in Nashville, it was a fitting to end the week of intimate performances at the Cause A Scene HQ with Noah Gundersen. 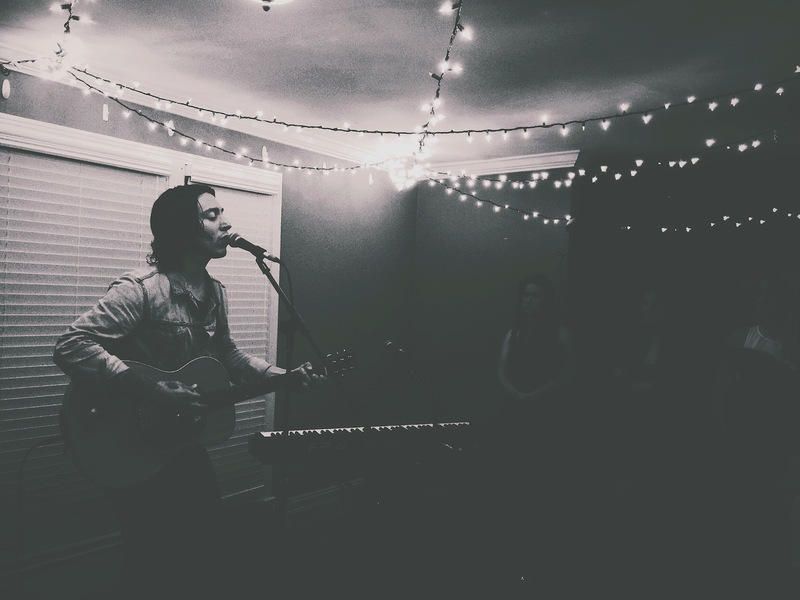 House shows offer artists the flexibility of making decisions that can alter the night in an incredible way making no two shows alike. The night started off with Erin Rae filling the living room with delicate harmonies and music with a smooth, folksy Americana vibe. Her soft-spoken demeanor and crisp vocals charmed the entire room. I always love when I attend a show to see the headliner and am delightfully surprised by the opening artist. Armon Jay came up next, and folks, if you dig the sounds of Passenger and Joshua James, give this guy a listen. He will not disappoint. He played most of the songs off his new album Everything’s Different, Nothing’s Changed which released earlier this year. He had an endearing quality of storytelling that came through when he explained his songs. He played a great set, and the fact that Noah Gundersen was not just in the room, but actually standing next to me, made it all the better. Can’t get that at the Bridgestone Arena. The final performance of the night was none other than Noah Gundersen, accompanied by his sister Abby, with Armon Jay on the keys. The chatter in the house fell silent within the first note of “Poor Man’s Son.” I love that he opened with this because it captivates and demands attention from the audience. Noah’s acapella intro transitioned from a single voice to a crowd of people during the chorus. At that moment I knew we were in for a special treat. Noah is a one of a kind lyricist – only 24 and able to pinpoint and artfully express every possible human emotion within each of his songs. After playing “Isaiah,” his third track on his most recent album Ledges, he jokingly told the crowd “I don’t have any songs abut friendship, only sadness”. The best moment of the night occurred halfway through the song “Nashville,” when Noah unplugged his guitar, made a b-line for the center of the room, and finished out his set. House shows FTW. Nashville is so full of female singer/songwriters that it’s a rare day when one of them is able to come in and completely take your breath away. 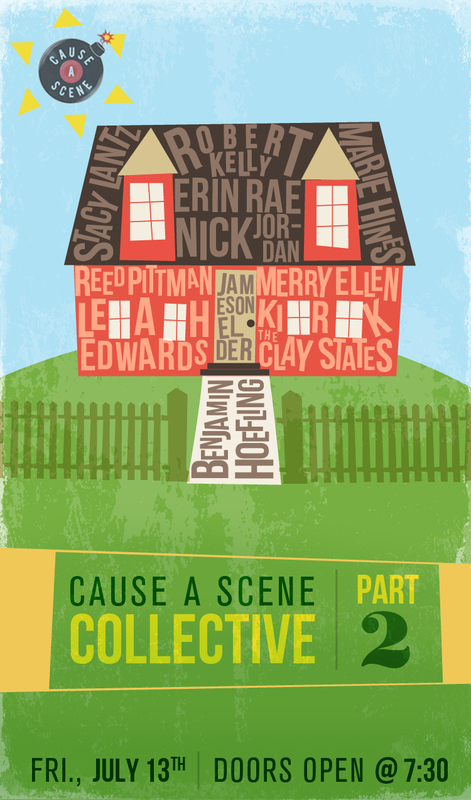 We first saw Erin Rae perform at the second Cause A Scene Collective show in July. She played 2 songs. We were hooked from the start. She and her band, the Meanwhiles, just released their new EP “Crazy Talk”. It’s simply beautiful. “Crazy Talk” likes somewhere between the folk/pop that has emerged from Nashville and across the pond with London’s “new folk” scene and a classic Americana sound. 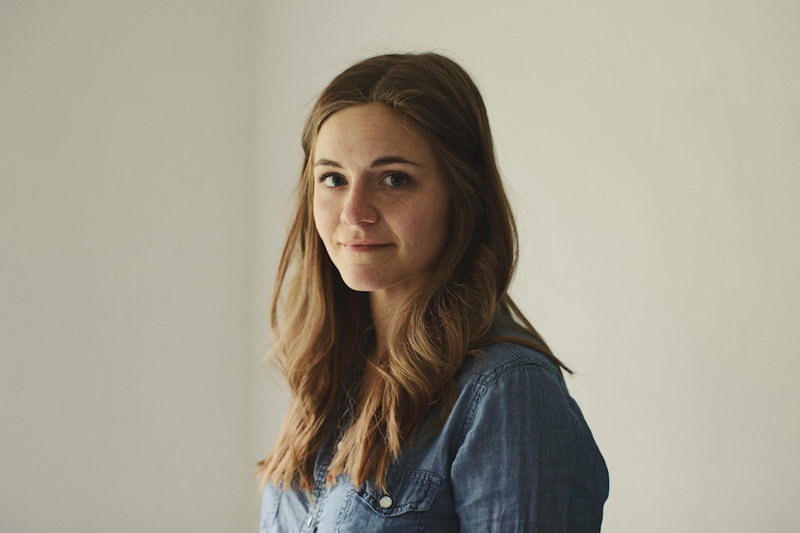 Growing up, Erin Rae would listen to her parents sing and play music together after family dinners, playing folkier versions of Mississippi John Hurt, Doc Watson and John Prine. As she grew up and began playing at county fairs ‘before she got too old to be shy”, Erin Rae looked up to the legends of Joni Mitchell, Patty Griffin and Gillian Welch, and their influence can be felt on her debut. She shares Brandi Carlile’s immaculate sense of melody blended with lyrics that are both extremely personal, but make you feel right at home in the story. It’s an intimate album that makes an instant connection with the listener. When she sings, it’s as if you’re the only one in the room. It’s an album of transition, coming to terms with the truth that life isn’t exactly the way you thought it would be and coming to terms with reality, and being content with that. In the title track, Erin Rae’s voice dances elegantly over a soft bed of strings and piano melodies. “I know that your life can feel threatened, it makes it hard to come alive,” she sings, and you immediately feel a sense of both comfort and wonder. It’s this sincere thought that instills a hopefulness that is present throughout each of the EP’s five songs. In “I Hope You Get What You Need”, Erin Rae sings about the common story of lost love. But rather than the angry wails we’ve come to know and love from other female artists like Adele, Erin Rae swings the pendulum the other way to a melancholy conclusion that “it’s probably better than I don’t join you for this journey / I hope you have a wonderful ride.” Throughout Erin Rae and the Meanwhile’s debut EP there remains a soothing reminder that we’re all in this together and everything is going to be just fine in the end, no matter the route we take to get there. As her first step out into the Nashville music scene, it’s a joy to witness Erin Rae coming into her own voice and growing by leaps and bounds with every show. We had the pleasure of catching her album release show (video below) and can’t wait to see her next Thursday the 29th with Andrew Combs at the High Watt. If you want to catch one of Nashville’s brightest young talents, we highly recommend you be there. This Friday night, we’re glad to partner with Nisolo for their Nashville launch party. In typical Cause A Scene fashion, we’ve brought along a few of our musician friends to play at the event: Jessica Campbell, Jameson Elder, Erin Rae & The Meanwhiles and Quinn Erwin. The gathering is free and begins at 6:00 and runs ’til 10:00 with music throughout. More details can be found at the Facebook event page. 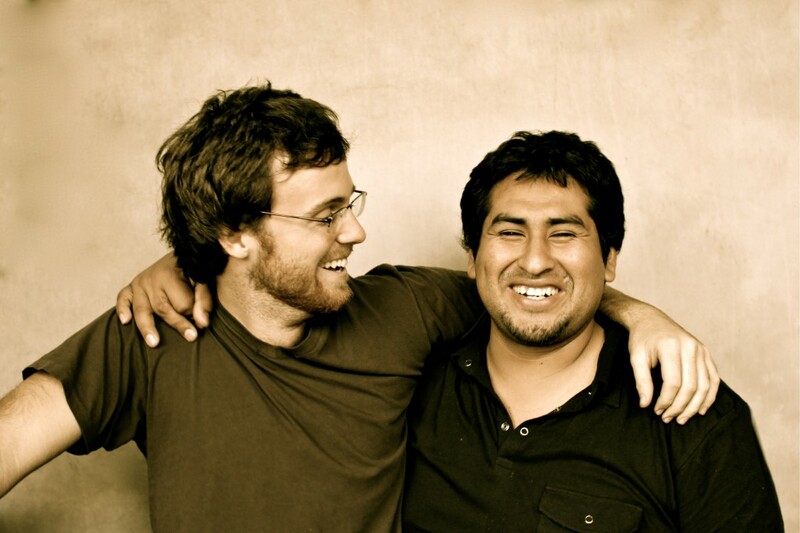 And while you’re here, check out the video below to learn a bit more about what Nisolo is doing to change the world for the better. NISOLO VIDEO from Nisolo on Vimeo. Over the course of the first 14 house shows we have had the pleasure of hosting at Cause A Scene HQ, few have remain so fully ingrained in my memory like our first Collective show back in March. It feels like ages ago despite only a little over three months time elapsing. For me it was the first time getting to hear most of the artists perform, many of which have become good friends since that show. That night holds a very special place in my heart, not just for the memory of the actual experience itself, but for the tours and co-writes and creative connections that came out of that show. That night was the perfect illustration of what we are trying to achieve with Cause A Scene: build a magnificently dynamic music community of people who believe in something much bigger than themselves. Part One also happened to be one of the most well-attended shows we’ve ever had with people unfortunately stuck on the back porch looking through the windows trying to catch a glimpse of the incomparable performances taking place inside. Now we have the distinct privilege of hosting not 10, but 11, incredible artists who seem to get better and better each time I listen to them play and who have very strong careers ahead of them. We are on pace to set an attendance record with this show, and I think after watching the videos below, the reason why will become very clear.